A Completely Natural & Organic Clean! If you are looking for a cleaner and polisher product that is safe, effective, completely natural and organic,TRUVU is the clear choice! 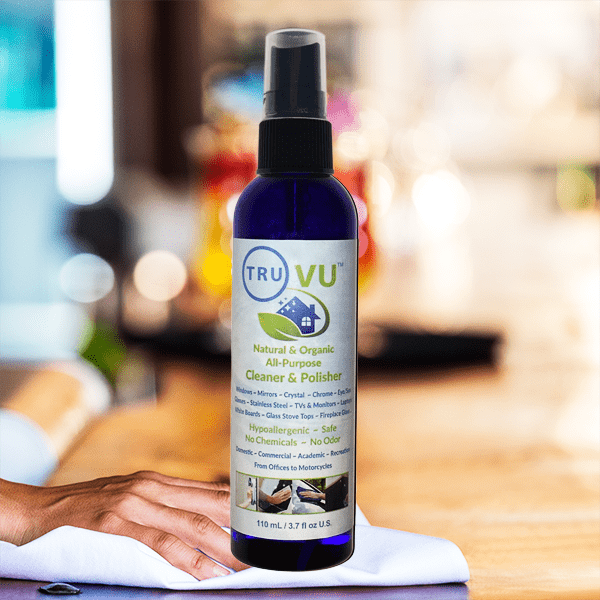 TRUVU - Natural & Organic All-Purpose Cleaner & Polisher was specifically designed and perfected exclusively for TRU so it is only available to our TRUMMUNITY. The inventor of TRUVU discovered a revolutionary way to make a perfectly natural and organic cleaner/polisher by extracting calcium and other minerals from the Atlantic Ocean and putting them in perfect suspension in a solution. This process is totally unique and cannot be found in any other product. TRUVU is prepared by filtering deionized, or pure water, through processed mollusk shells (our intellectual property) called AquaMedia®, where we capture calcium and other minerals from this natural organic source. Due to our completely safe and non-toxic formula you can TRULY clean with a conscience! by Barry Munro | TRU Intl. Inc.
What makes TRUVU so different from other natural, green organic cleaners? 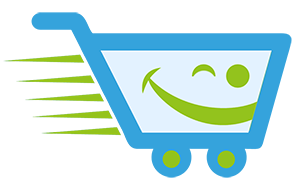 Many other cleaning products, including some that claim to be natural and/or green use chemical ingredients in water such as surfactants, detergents, emollients, ammonia, oils, paraffin, sulfates, phosphates, colors. A lot of these products that we use everyday have warnings on their labels, including many green and natural products, such as … keep out of reach of children and pets, or do not spray on skin or in eyes, and if you do flush with water. These cleaners can leave a harmful chemical residue behind, just waiting to be transferred onto our skin, hands, and ultimately transferred into mouths. These harsh chemicals are poisoning not only our environment, but all of us which includes our children and pets. However, unlike other ‘environmentally friendly’ products out there, you won’t see any cautions on our TRUVU label. That is just one of the reasons why we are so proud to have TRUVU as one of our TRUMARKETPLACE products. Not only does it work extraordinarily well, it is safe for the entire family to use! Even those who are environmentally sensitive, environmentally conscious, those who are respiratory challenged (Asthma, COPD) or those with medical dispositions and restrictions can use TRUVU. We don’t ‘pretend’ to be natural and organic. We ARE natural and organic. TRUVU is remarkably simple to use, amazing results. You just spray on the surface, wipe clean with a paper towel or a microfiber towel and polish with a second clean and dry lint free cloth or microfiber towel. Each time you do that simple process, you apply a light microfilm of organic calcium that will resist fingerprints and because it is anti-static, it will stay cleaner longer. We recommend several coats for a better finish - spray it on and wipe it off, polish, let it cure for 30 minutes or so before another coat. You cannot streak, smear or smudge TRUVU and if you do it just means you had more dirt than you thought you had so just do another quick application. When using TRUVU you will find that your things will stay cleaner longer so spending less time cleaning and more time enjoying the clean … plus you will use less cleaner! We would like to encourage you to try our cleaner/polisher for yourself and then to send a testimonial to share your experiences with our TRUMMUNITY. We are confident that like thousands of others, you will love the results you get. Use it everywhere on motorcycles – Plexiglas, Lexan, chromium, plastic, metal – everything. Use TRUVU on exhaust pipes to keep them brilliantly shiny and don’t worry about burning off the calcium. It does not burn till 1548ºF and if the exhaust pipes are that hot, a shiny pipe is the very least of your concerns. 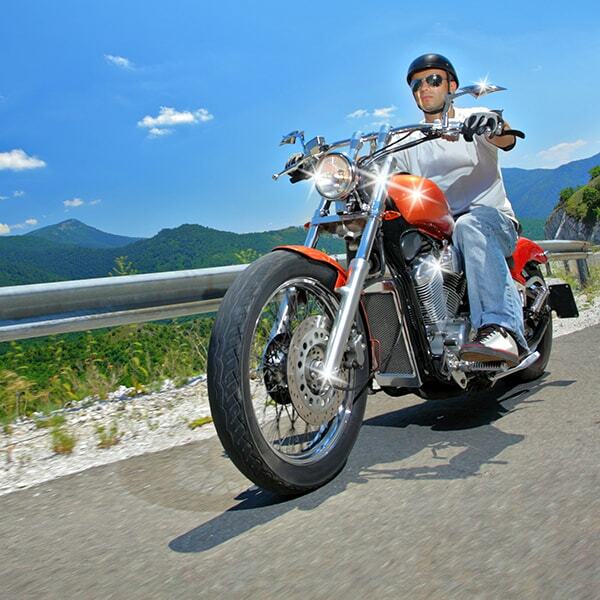 Many Bikers worry about painted surfaces – TRUVU is perfectly safe for painted surfaces. 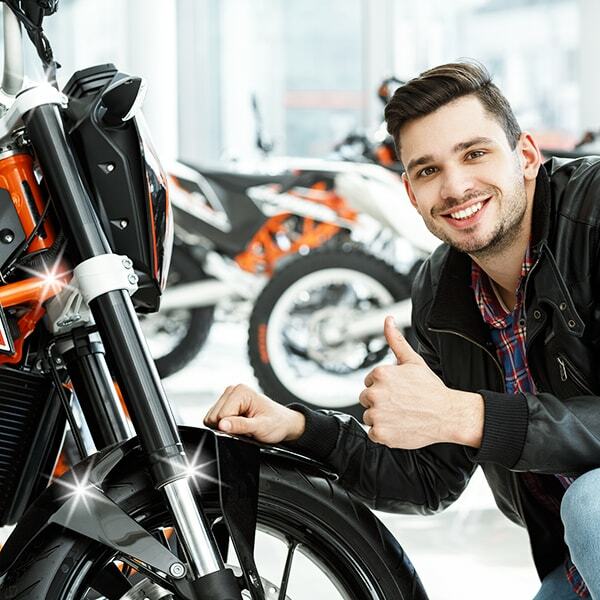 For cleaning bugs off the motorcycle windscreens, use paper towel to trash the bugs. Make sure you do a few extra coats of TRUVU to realize the exceptional character of a TRUVU finish - water will bead off and the bugs can’t penetrate the calcium. Because the bike stays cleaner longer you’ll spend less time cleaning the bike and more time riding it. You can use TRUVU to clean windows, mirrors, desks, crystal, and jewelry. You can also use it to clean bathrooms and kitchens, ceramics, walls, painted surfaces, floors, you could even use it to dust furniture; clean kitchen counter-tops, and stainless steel appliances. Clean pictures and picture frames, grandfather clocks, clean tables and display cases (or sneeze shields) in delicatessens, bakeries, butcher shops, coffee shops or restaurants. Clean them thoroughly, carefully use a glass cleaning razor blade if you must to get rid of those stubborn burnt on spots. Apply several coats of TRUVU. You’ll be delighted how it keeps your glass top stove looking like new and easy to clean. How we hate those pesky fingerprints. Use microfiber towels, spray TRUVU liberally on the surface and rub it in with the grain, use a little elbow grease, polish with a second clean lint free cloth or microfiber towel and do that several times waiting a half hour between coats. With each cleaning you will be applying another microfilm coat of the organic calcium and building it up such that it gets better and stronger to resist fingerprints. Spray liberally with TRUVU, wait a few minutes to clean the carbon and creosote. Use a razor blade to clean off the seriously stubborn burnt on spots. Apply several coats of TRUVU. You’ll be delighted how it keeps your fireplace clean so you can enjoy the flame and the heat. We feel that TRUVU is the very best cleaner polisher available, and we trust that will be your experience as well. At home, or the workplace we are surrounded by electronics be they TVs, computer monitors, cell phones and laptops. Keeping them clean can be seriously challenging as they can leave annoying streaks or may damage the screen, making it cloudy, scarred or scratched. TRUVU solves all these problems, is remarkably simple to use and gets amazing results each and every time. First and foremost – turn off the device. We promote using the two cloth method – take a microfiber cloth or microfiber towel and spray it rather liberally with TRUVU – and by that we mean get it wet – use it to wipe and clean the screen … give it a good wipe. Use the second clean and dry microfiber cloth or towel to dry and polish your device. Spray one cloth – wipe clean – dry/polish with the 2nd cloth. Spoiler Alert: If your device has a plastic protective laminate as do some smart phones, TRUVU does not work well because both the laminate and TRUVU are anti-static so they compete with one another. White boards are now widely used in offices, boardrooms and schools. Over time and constant use they begin to look dull and unsightly; not the professional image we want to have. Using TRUVU you can help rejuvenate and restore the hard surface with a microfilm of organic calcium making it good as new. We would recommend cleaning a couple times to get that hard microfilm of organic calcium. TRUVU is safe to use on the lenses of your glasses and sunglasses. Our eyes are sensitive gifts and for those of you who need to wear glasses you are no doubt well aware of that. 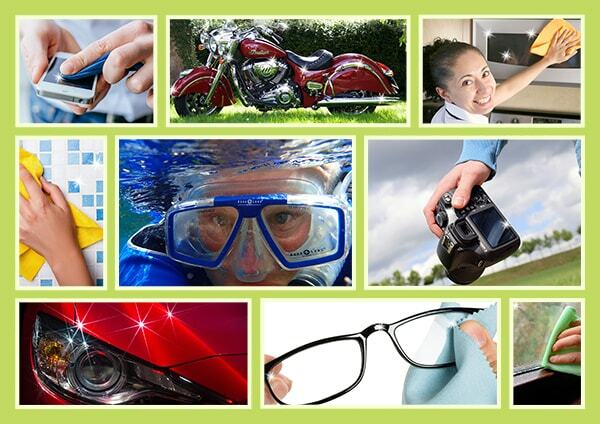 Unlike those without glasses we need to regularly keep our lenses clean in order to see. If you have eyestrain one reason could be that some cleaners used to clean our glasses can contain detergents, surfactants, ammonia or chemicals, that you are putting quite literally, one half inch or one centimeter from your eyes. The same goes for goggles, paint-ball helmets or hockey visors if clean with chemical cleaners. When you start to perspire, your sweat permeates the face seal and the leftover residue will weep into your eyes causing them to sting and suffer damage. Spray TRUVU directly on the surface – wipe clean with a microfiber cloth or Kleenex and then dry and polish with a second clean and dry microfiber cloth or Kleenex. Pay attention to getting into those hard to access corners and crevices. Note: On glasses, use Kleenex or a microfiber cloth (Not a microfiber towel). These have a very fine grain so they won’t scratch glass. Multiple applications TRUVU will build up that micro-film of organic calcium so that the surface will resist the onset of the fog and in some instances prevent fogging up in the first place. If you have a stove in your home that you would like to keep clean; TRUVU should be a must in your cleaning regimen. We have a propane stove and had trouble keeping one particular area around a burner clean because everything seemed to stick it. We decided to give TRUVU a try as it is a natural product that doesn’t leave a harmful residue behind, and that is important to me especially around an area where I cook food. Since what says that it can help things stay cleaner longer I followed the directions and applied around 4 coats so I could have a build up to the coating. Once thing I noticed right away was the incredible smoothness of the stove and the shine when you polished it was amazing! On top of all that when I cooked afterward the cleanup was a cinch. The area around the burner didn’t stick either and I only had to use my dishcloth for cleanup so it is easier on the stove itself. I now use TRUVU on our glasses, mirrors, electronics and others things and would highly recommend for everyone to use! Thanks so much for bringing this great product to our attention. Where you use TRUVU is limited only by your imagination. Try TRUVU today and experience the difference. The choice is clear! Bottle Size: 110 mL / 3.7 fl oz U.S. Ingredients: De-ionized water, calcium and minerals from an organic source. We don’t ‘pretend’ to be natural and organic. We ARE natural and organic … TRUVU!